There has been rather a lot discussion on this blog of two pioneering historians: E.P. Thompson and Eric Hobsbawm. For those of you who are keen to hear more about these two, I’d like to mention a couple of events that will be of interest. For those of you who are tired of me blathering on about dead white men, I can promise that both of these events are actually focused on the impact of Thompson and Hobsbawm’s ideas – rather than on the men themselves – and that after this post I’ll shut up about them for a while. The first event was a panel on the legacy of Thompson’s The Making of the English Working Class (1963). The talks and discussion were recorded, and the podcasts are now freely available here. I believe the slides will also be available for download at some point soon. There were three panellists. Professor Sander Gilman (Emory) focused on the ‘Englishness’ of The Making and the problematic place of Jews in this story. Professor Jane Humphries (Oxford) presented a wonderfully incisive look at the how the ‘sentimentalist’ and ‘pessimistic’ interpretation of the Industrial Revolution has been recently reinvigorated by rigorous quantitative research, including her own book on Childhood and Child Labour British Industrial Revolution (2011). Last, and definitely least, I expanded on some of the ideas that I had presented in my earlier piece on the future of ‘history from below’, drawing on the wider discussion in our online symposium, particularly the contributions from Mark Hailwood and Samantha Shave. The second event I’d like to mention is the huge conference on ‘History after Hobsbawm’ that will be held at Birkbeck at the end of April. It’s going to be quite an occasion – I don’t think I’ve ever seen so many big-name ‘Munros’ from the world of history on a single programme. 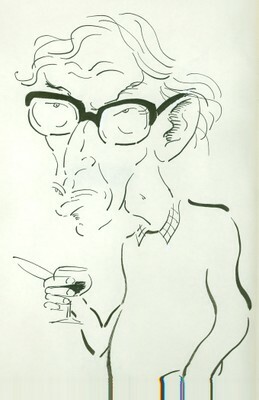 Although the event will partly be a celebration of Hobsbawm’s legacy, it also promises to be a forum for leading historians to tackle big issues such as nationalism, protest, class, environment, and so on. I won’t attempt to list all the speakers except to say that I’m particularly looking forward to the panels on ‘the crisis of the 17th century’ (Sanjay Subrahmanyam, Geoffrey Parker, John Elliott), on ‘Marxist and post-Marxist social history’ (Andy Wood, Jane Whittle, Lucy Robinson), and on ‘Frameworks of historical explanation’ (Peter Burke, Joanna Innes, Renaud Morieux). I hope to see some of you there. In The Comfort of Things (2008), the anthropologist Daniel Miller presented a series of ‘portraits’, stories of individuals and the things in their home that mattered to them, to challenge a narrative of consumption as corruption. Miller’s vignettes illuminate how objects embody people’s aspirations for sure, but, he also explores how the stories people tell about their things are intrinsic to their struggle to make their lives meaningful. For Miller, we appropriate objects to give meaning to social processes and relationships. This post – a brief presentation of two case studies from late-Victorian and Edwardian working-class culture – makes a foray into how working people’s ‘stuff’ can be interrogated to explore the inter-personal dynamics of family life. Fifty years on from E.P. Thompson’s call to rescue working people from ‘the enormous condescension of posterity’, and myriad ‘turns’ later, history from below is flourishing in modern British scholarship. An emphasis on ‘ordinary people’ has replaced an earlier stress on the working class, and studies of collective protest are less numerous than those on everyday life. But there is no sign that scholars consider Thompson’s original project ‘cliched’ or ‘tired’. The industrial revolution was possibly the single most significant event in our history. But when we think about the men, women and children, who with their strong backs and nimble fingers did the most to power the industrial revolution, we tend to feel that there is little to celebrate. The introduction of new working patterns which compelled men to work at the relentless pace of the machines. Children forced into factories and down mines at ever younger ages. Families squeezed into dark, disease-ridden cities. And nothing but the workhouse for those who slipped through the net. All the great Victorian commentators – Engels, Dickens, Blake – painted their industrial times in a very dark hue. And their dismal litany echoed throughout the twentieth century, as a succession of pioneering social historians – the Hammonds, Eric Hobsbawm, and of course E. P. Thompson – turned their attention to the devastating impact of the industrial revolution on the working poor. Yet despite the frequency with which various versions of the bleak account of the industrial revolution have been retold, the claim that this period was worse than anything that has gone before has not received the kind of scrutiny it deserves. In particular, it is remarkable that so little effort has been made to listen to what working people themselves had to say about their life and times. Of course, it is usually countered that such an effort would be futile as working people did not leave behind much in the way of written sources. But whilst it is certainly true that they wrote far less than their social superiors, it is not the case that they wrote nothing at all. Less well known, but no less important, is a remarkable collection of autobiographies written by working people themselves. And if we listen to these, we hear a story that is very different to the one that we are used to. History-from-below poses a question. Like Bertoldt Brecht’s Questions from a worker who reads and Virginia Woolf’s A room of one’s own, history-from-below asks us to describe the lives, ideas and experiences of those who lay ‘below’ dominant historical narratives. Like Subaltern Studies (developing at the same time, from the early 1970s) history-from-below focused on a disparate range of groups, spanning time and distance: workers, peasants, slaves, women, the marginalized, oppressed ethnic, religious and sexual minorities. The history-from-below tradition grew out of the English Marxism of the CPHG (Communist Party Historians’ Group). It was the badly-behaved adolescent offspring of the CPHG, loosely grouped around History Workshop Journal and its attendant movement rather than around the journal Past and Present, which by the 1970s had lost its explicit political focus. Like the CPHG, history-from-below valorized resistance and largely ignored questions of subordination, social integration and hegemony. But unlike the CPHG generation, it was explicitly open to histories of women, gender, race and sexuality. It represented the historiographical expression of a broader shift at work within the British Left in the 1970s and 1980s, the urge – in the face of deindustrialization and the late-recognized halt in the forward march of labour – to create new alliances beyond the traditional labour movement. That political project achieved its clearest expression in Livingstone’s GLC (Greater London Council), in a resurgent CND (Campaign for Nuclear Disarmament) with its connection (via Greenham) to second-wave feminism and in the diverse range of groups attracted to the Miners’ Support Groups during the 1984-5 strike. Although this ‘rainbow alliance’ (the term originated with Jesse Jackson and was anglicised by the International Marxist Group as an ‘alliance of the oppressed’) was to be defeated, its historiographical expression in the fuzzy History Workshop tradition had its successes – as this symposium shows, nowadays it is hard to write social and cultural history without reference to some of the concerns of History Workshop, most of all the legacy of feminism and the lesbian and gay liberation movement. Histories of class, marginalized by the cultural turn of the last 20 years, are starting to reassert themselves too. I’ll come back to this resurgence towards the end.